When we talk about agility, we can't only be referencing a team of developers that perform all sorts of software development iterations. When we talk about readiness, in this context, we must also embrace the idea that software development is a complex transformation that can only be achieved when application leaders will fully comprehend the scope of the challenge. Some of these application leaders will make exceptions and cut corners, under the pretext of being agiler and consistent with the company's culture. It happens when there is limited understanding of the actual circumstances, as well as the importance of the rules and roles at play. At the same time, these application leaders will struggle to bring to fruition everything they promised to realize, not knowing what went wrong, in the first place. In short, Scrum is a framework used by people to address various complex adaptive problems, while at the same time, delivering products of the highest possible value. Nevertheless, on its own, Scrum's primary roles and rules are not enough for a business to experience an agile transformation. For that to happen, however, it will need both a series of agile technical practices, as well as an agile mindset. There are three significant ways by which companies can fall short in their attempt at delivering business capabilities. For it to succeed, both the proper technical practices and mindset are required. When there is neither, developing teams will lack both the necessary know-how and will not be able to gain any traction because of no sense of direction. In other words, they will be like a ship without a captain, aimlessly sailing where the winds will take them. 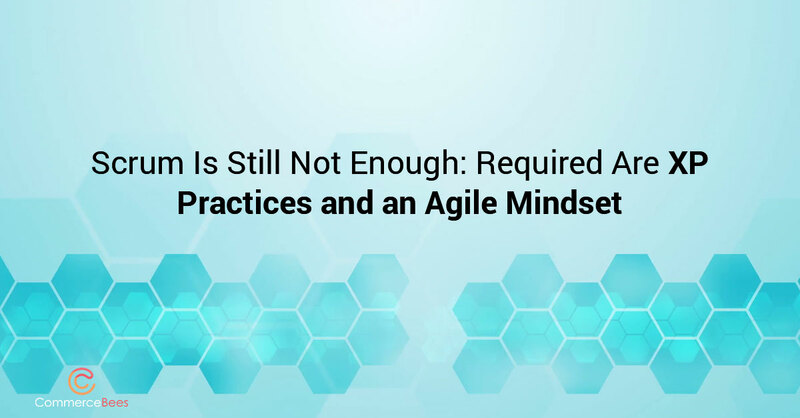 If there are no agile technical practices, but there is the right mindset, development teams may appear supple but will still fail to deliver a properly-working software solution. Conversely, if these teams have the right technical skills and practices but lack the necessary agile mindset, will provide a software solution, but it will, most likely, not be the desired one. For application leaders to be able to deliver viable digital business solutions and scale quickly, they need to cultivate an agile mindset and incorporate customer feedback into their day-to-day operations. They also need to train developers in agile technical practices to better invest in delivery expertise. Likewise, application leaders will need to utilize communities of practice (COPs), to build a foundation of consistency. Commercebees will help all companies that wish to embark on this journey. For more information on our products and services, please feel free to visit our website or contact us directly. Copyright © Commerce Bees 2018, All Rights Reserved.